During my sit down with Nicalis, I was able to try out Ittle Dew 2+ by developer Ludosity for the Nintendo Switch, the latest port of the title that was released last year on the Xbox One, PlayStation 4, and PC platforms. Ittle and Tippsie crash their raft and need to get off the island. (Images used are from a prior port of Ittle Dew 2). The control scheme for Ittle Dew 2+ was very polished, and I was particularly pleased with how responsive swinging my weapon was to bash in enemies. What really grabbed me early on, even before I started to explore the world around me, was the humor. As someone who has been playing video games since the Sega Genesis and Super Nintendo Entertainment System days, I have played a lot of video games and I have seen a lot of tropes develop throughout the years. 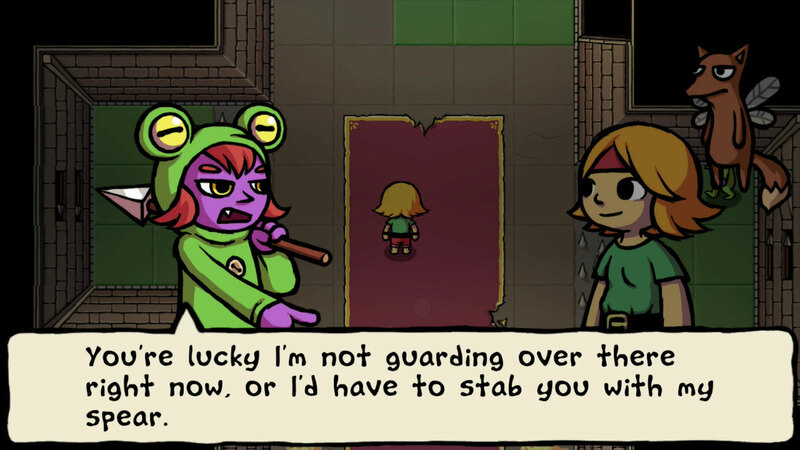 What Ittle Dew 2+ does is draw attention to and poke fun in an almost-loving way at dungeon-crawling genre conventions and other games over the past thirty-plus years. As a result, I found myself grinning and trying hard to not laugh at some of the jokes and one-liners that the game makes. The humor is very self-aware and referential to tropes of the genre. 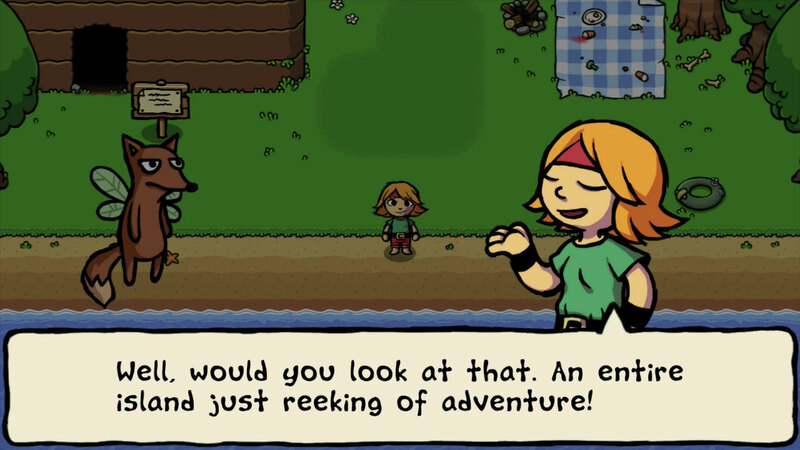 The art style for Ittle Dew 2+ is cartoony and a touch simplistic with stark dark lines outlining the characters, and the game presents from a third person point of view that really reminded me of The Legend of Zelda: A Link to the Past. The control scheme for Ittle Dew 2+ was very polished, and I was particularly pleased with how responsive swinging my weapon was to bash in enemies. Overall, this game demo had tight and responsive controls. There is combat and puzzles throughout the dungeons, and I was quite pleased with how much I enjoyed both. 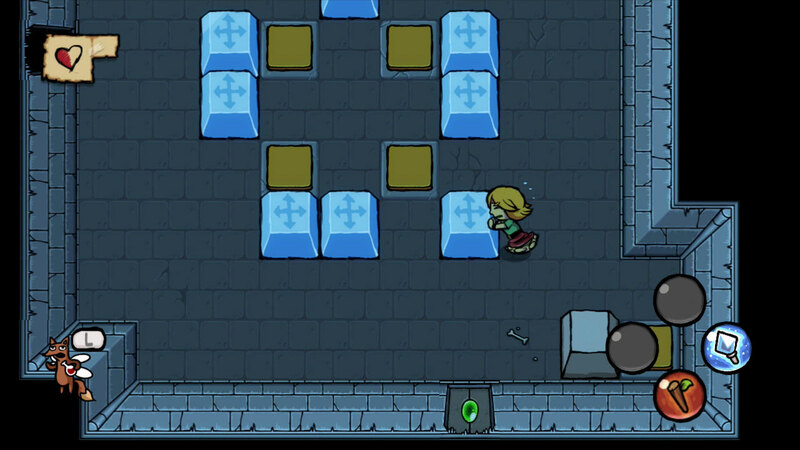 As I made my way through Pillow Fort, which Tippsie describes as something that looks like a “the tutorial dungeon” in-game, I was faced with different puzzles that had incredibly tight design. 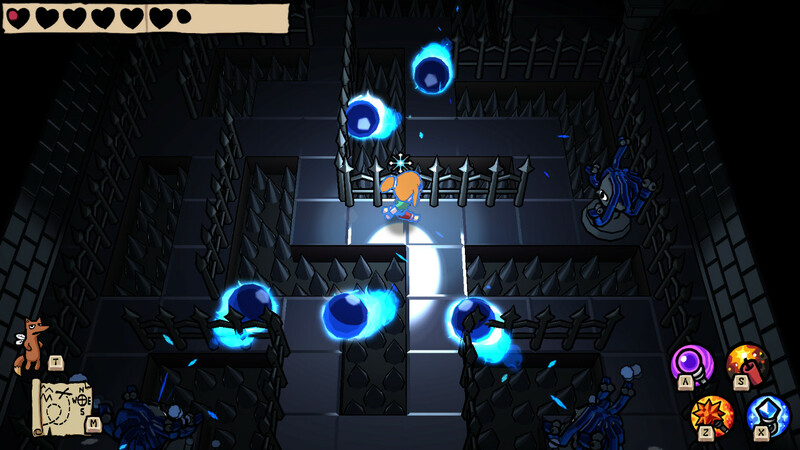 Some of the puzzles required me to clear all of the enemies before I could progress, some of them required me to obtain keys to unlock their door, and some of them required me to trip different switches in a certain order before I could progress further. Unlike some games, the puzzles were all easy to figure out after a bit of thinking. I finally came across the boss, Cyber Jenny, who had a pattern of attacks that I had to learn to dodge in order to figure out when I needed to strike (another puzzle!). 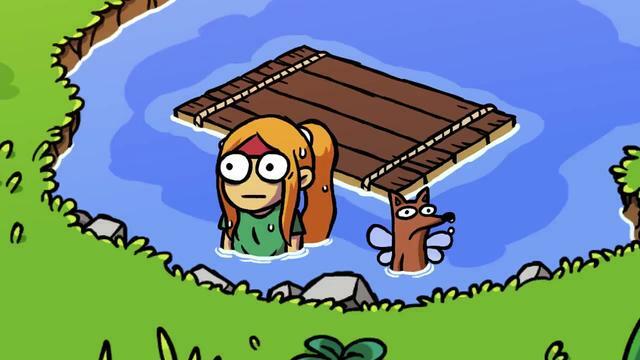 Overall, I loved Ittle Dew 2+ for its gameplay and humor, and I am personally looking forward to getting the game port on the Nintendo Switch when it releases this summer. One last thing: Say “Ittle Dew 2+” out loud. I totally didn’t get the joke inherent in it until Nicalis pointed it out to me (you’re welcome!). 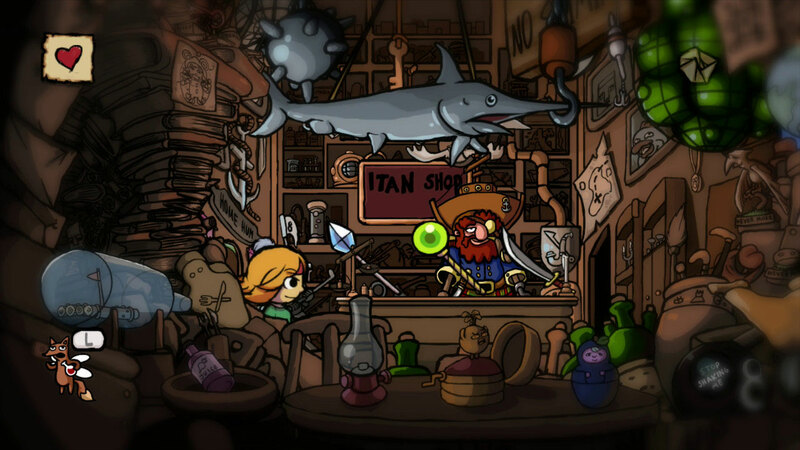 Are you going to be picking up Ittle Dew 2+ when it comes out for the Nintendo Switch? Did you play the previous one? Let us know in the comments below!